Lehigh County, in the valley of the same name, is humid through much of the year, although winter and fall can be relatively dry compared to the muggy summers. Dumpsters are commonly used in Lehigh County throughout the year, although snowfall in more severe winters can often outdoor activities. 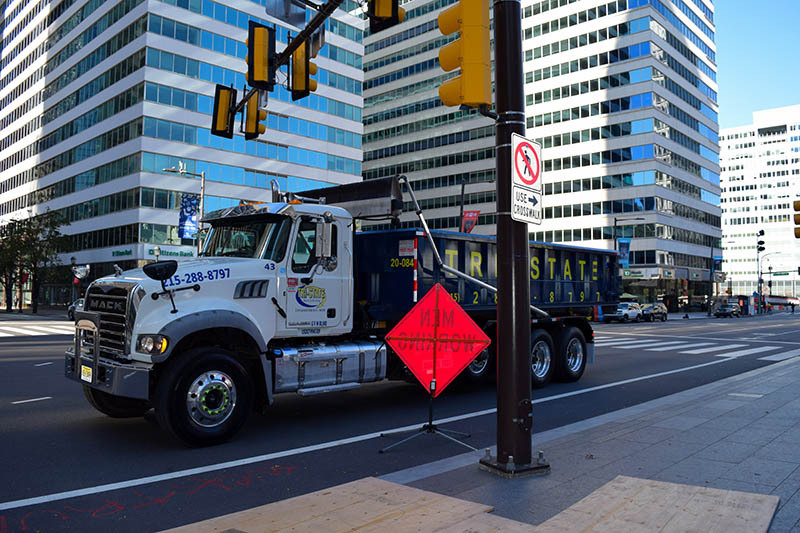 As a result of this, dumpster rental tends to see a spike in the warmer months and following snowstorms, when residents of Lehigh County get out and about to do yard work, clearing the debris from in and around their homes. Dumpsters themselves are a relatively simple technology – when you think about it, a dumpster is just a gigantic bin – but how the dumpsters interact with the trucks designed specifically to empty and transport them is a truly ingenious innovation. Smaller dumpsters, below twenty yards, often have spaces on their sides to allow a dumpster truck to “grab” the bin and empty its contents into the tray on the bed of the truck. These front-loading dumpsters are fairly common for household and small-scale industrial application throughout the world. However, the strength and power required to lift a larger industrial dumpster necessitates a different design. The size of the truck needed to lift a forty yard dumpster full of bricks and rock would be thoroughly impractical, which is why construction sites and factories often house roll-off dumpsters. 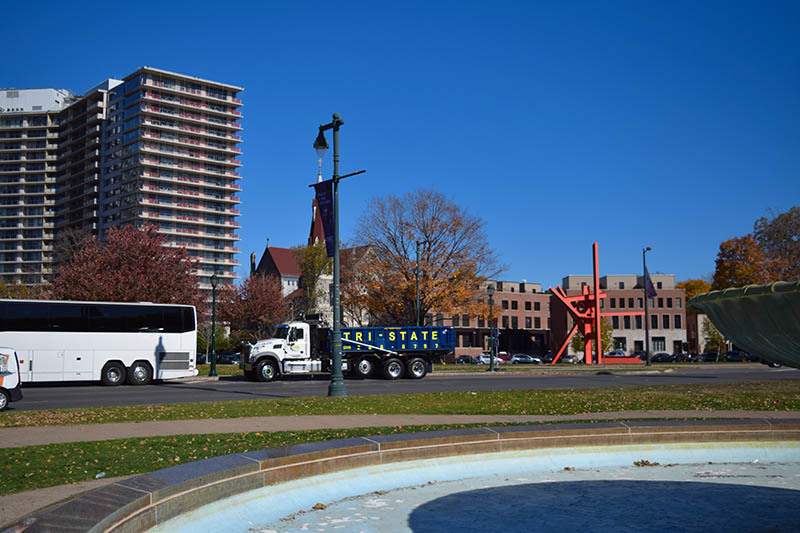 As the name suggests, these roll on and off the back of the specialized truck, making transfer easier and allowing for the removal of higher volumes of heavier waste. 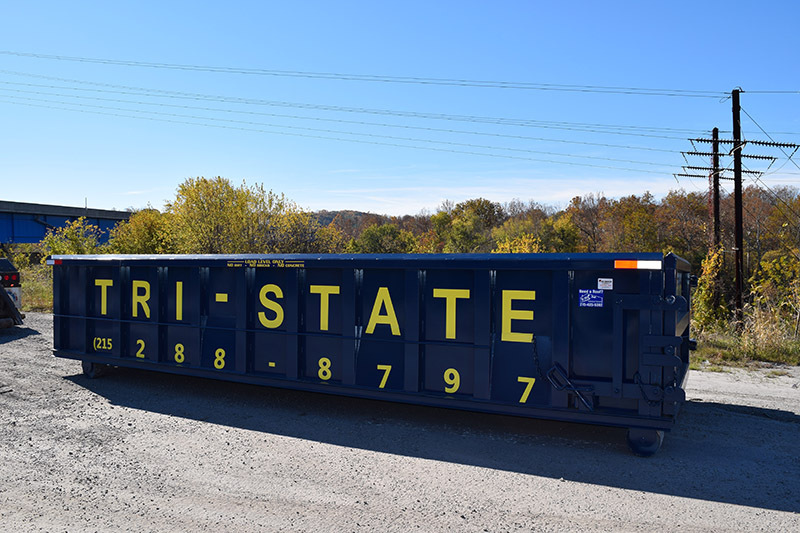 Roll-off dumpsters are even available in smaller sizes for ease of use, and using an assortment of different sizes to customize your dumpster use is a popular choice for many industrial cleanouts, demolition projects and redevelopments. Some companies, for example, will separate bricks and heavy debris from lighter objects such as paper and glass, and place the different weights in different dumpsters, allowing for easy management of tonnage and waste disposal. Allentown, the most rapidly growing city in all of Pennsylvania, is currently undergoing massive development, both residential and commercial. 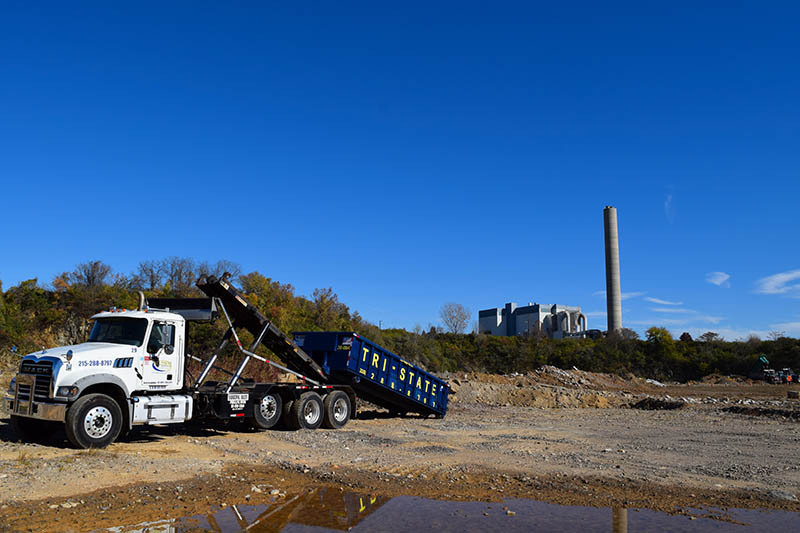 For this reason, large roll-off dumpsters, with their increased capacity for volume and weight are popular choices for dumpster rental in Allentown. Housing construction has been booming in Emmaus for a number of years now, so large roll-off dumpsters brimming with bricks, wood and cement are a familiar sight on Emmaus roads. These dumpsters are similarly popular for large industrial clean-outs and the rehabilitation of large, dilapidated houses. Northampton residents identify strongly with the cement and concrete industry. For a long time, the majority of dumpster usage involved cement or concrete, so dumpsters themselves had to be sturdy and capable of safely transporting such heavy materials over long distances. 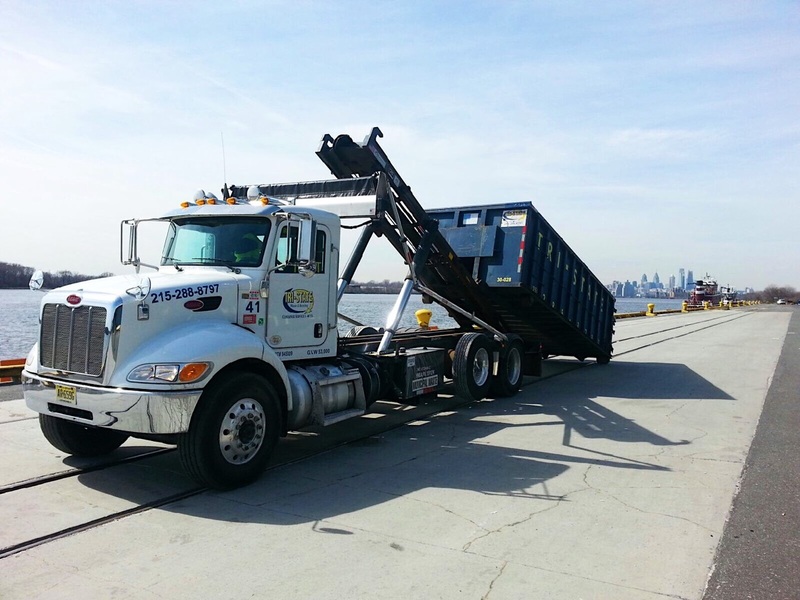 Today, dumpster rental companies use this experience to make even the most minor development projects as stress-free as possible. The size and type of dumpster required for Industrial cleanouts in Coopersburg will often vary depending on the cleanout itself. For cleaning out an unused house or industrial building, it’s always best to have more space than you need, so a forty-yard roll-off dumpster should do the trick. However, for smaller jobs in paper-pushing offices, twenty-yard dumpsters and even their smaller cousins can work just as well. New Tripoli residents may be concerned that dumpster rental might damage their property or driveway. A great way to avoid this is to use four-by-eight pieces of plywood to line the driveway and absorb the weight and impact of a fully loaded dumpster.